The Village Eatery is a Lockport icon that has been around about as long as I can remember. It is the default place to go for Friday fish fry and a handmade pizza. But does this long-standing restaurant earn its reputation, or is it all smoke and mirrors? As a life-long Lockportian, I have been to the Village Eatery more times than I can count, and I can tell you that it has a reputation that has been earned through hard work. If you have never been to the Village Eatery before, whether you live in Lockport or not, then you are missing something pretty special. It is a busy local business, so you should try to call ahead for a table on the weekends. To be honest, this place is busy in its dining room and its take-out area pretty much every evening of the week. No matter what kind of weather we are having, it is always Village Eatery time. One of the reasons the Village Eatery is so popular is because the quality of the take-out food is the same as the dining room food. This sounds like an easy thing to do, but any restaurant owner will tell you that it is not. I am not sure if the Village Eatery does anything different than other take-out places to preserve the food quality when they package orders, but I do know that we have never been disappointed by a Village Eatery take-out meal. The dining room is set up to be an excellent experience for families, couples, and groups. The one thing I have always noticed about the Village Eatery is that the ambiance is extremely inviting. Large groups sit side-by-side with couples eating dinner and there is never tension in the air. The service is quick and friendly, and it just feels like the kind of place where you can always have a good time. Every meal starts off with fresh bread that is some of the best bread I have ever had. I have never had a bad server at the Village Eatery, and I have never had to send an order back to be cooked again. I have had food from all over the Village Eatery menu and, so far, nothing has been a disappointment. The only disappointment I get at the Village Eatery is filling up on bread and leaving no room for dessert. The take-out service is friendly and fast as well. I have had food delivered and I have picked it up, and I have never had an issue. The Village Eatery can definitely claim that it has some of the best subs in the city, and that is saying something in a city like Lockport where there are a lot of sub places. If you are trying to think of a place to have lunch or dinner, then give the Village Eatery a try. On top of having great food, service, and ambiance; it is also very reasonably priced. This is definitely a family place that knows how to make its customers comfortable and happy. 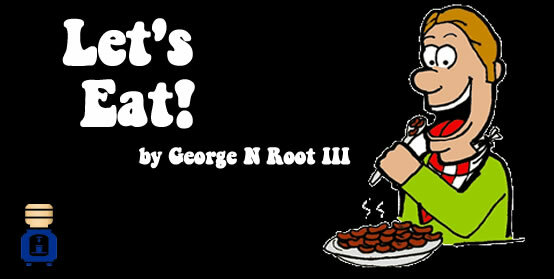 George N Root III is a food kind of guy. Follow him on Twitter @georgenroot3, or send him a message at georgenroot3@gmail.com.